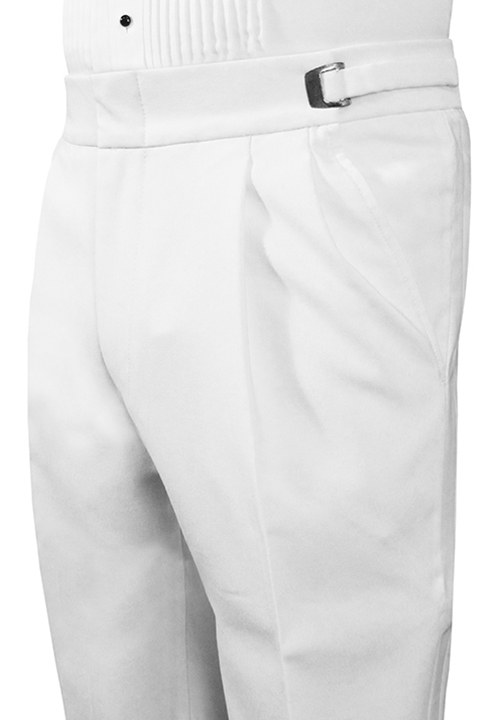 NEW White double pleated formal trousers by Classic Collection sets the standard for white formal wear. Featuring an adjustable waist, double pleated front, and a satin side stripe, these trousers have everything you need to look your best. Fashioned from 100% Polyester, these trousers will match any white coat that is also fashioned from 100% Polyester.